Visceral, immersive and progressive, Nick Wales's electronic-classical sound worlds are internationally sought after. From empowering beauty to magnetising dark passages, Wales's textural compositions have inspired creative leaders across the contemporary dance, popular and classical music, film and theatre disciplines. Commissioned with Marina Mascarelle for Ballet de l'Opéra de Lyon in 2016, Wales's name is synonymous with dance. He has scored several major Sydney Dance Company works in collaboration with artistic director and choreographer Rafael Bonachela since 2012. His baroque-meets-electronica soundtrack for 2 One Another saw 100 performances worldwide and was followed by 2 in D Minor, Scattered Rhymes (with Tarik O'Reagan) and the jagged glitch and chilling vocals of Emergence, written in partnership with singer-songstress Sarah Blasko. A knife's edge of light and dark, Lux Tenebris, his latest production with Bonachela, premiered across Europe in September 2016, co-commissioned by the Dresden Frankfurt Dance Company. He has composed eight dance theatre pieces for Sean Parker and Company, including the Helpmann Award nominated AM I, The Yard, This Show is About People and the internationally performed Happy as Larry, Spill and Trollys. Performance artist Justin Shoulder is another of his recurring collaborators. Their newest creations featured at MMCA Gallery Seoul, MCA Sydney and the Asia Pacific Triennial for GOMA Brisbane. While Wales's contemporary dance scores are both challenging and abstract, his pop sensibilities are undeniable. 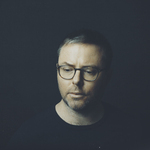 Traversing all genres as a founding member of ARIA nominated classical-fusion band CODA, he has also collaborated with Sarah Blasko for a number of years, writing the orchestral arrangements for her 2012 album I Awake and co-penning two songs on her follow-up Eternal Return. A master of building tension, drama and spectacle, he has soundtracked television documentary The Lost Diggers of Fromelles, Hair and Around the Block, a feature film starring Christina Ricci. Wales's undergraduate studies in composition were completed at Sydney University under Peter Sculthorpe, Ross Edwards and Anne Boyd. Nick holds a post graduade diploma in Screen Composition from AFTRS. Whether it be in the art or commercial sphere, Wales's innate craft will transform movement, space and screen into the extraordinary.